Save!! Direct from the Manufacturer!! The guys were nice, professional, and helpful when they delivered our shed. They leveled the ground and had it set up quickly and exactly where we wanted it! The office kept in touch with us from the beginning to the end of the process. Whether you're looking for a small utility shed to store your lawn equipment or larger, more versatile storage sheds with plenty of features, Lancaster Garden Sheds stocks a full line of affordable, Amish built sheds for every need and budget! 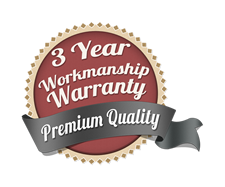 Built by Amish craftsmen, all of our sheds carry a 3 year workmanship warranty and are available throughout Harrisburg, Lancaster and York, PA at affordable prices. We can also deliver our quality sheds to locations in Maryland too! Need your shed right away? Check out our selection of in-stock sheds or stop by our outdoor showroom to see our complete line of Amish sheds. Our outdoor showroom is located in Mount Joy, PA, just a short drive from nearby Harrisburg, York and Lancaster, PA and convenient to many parts of Maryland as well. Need help deciding on the best shed for your needs? The friendly staff at Lancaster Garden Sheds will be glad to help. We'll take the time to show you our complete line of sheds and explain all the available options to help you build the best shed for your needs! Just contact us for details! Lancaster Garden Sheds builds quality Amish sheds in Lancaster, York & Harrisburg, PA and many parts of Maryland. We carry a selection of storage sheds for sale in many styles and sizes.